On Sunday, Bethany woke up at a decent time and ate a leisurely breakfast in the park, down by the beach. 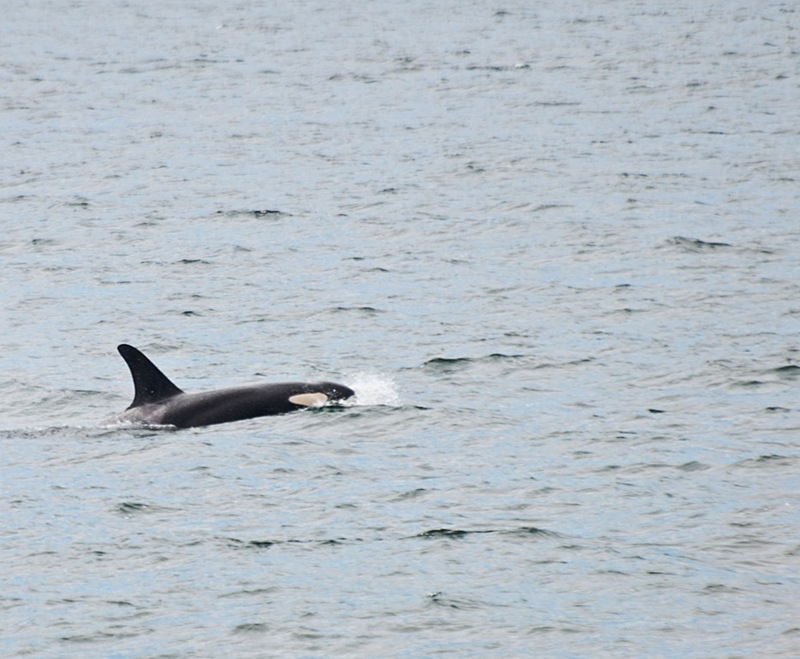 We were super surprised to see first a pod of porpoises, then a pod of orca whales. 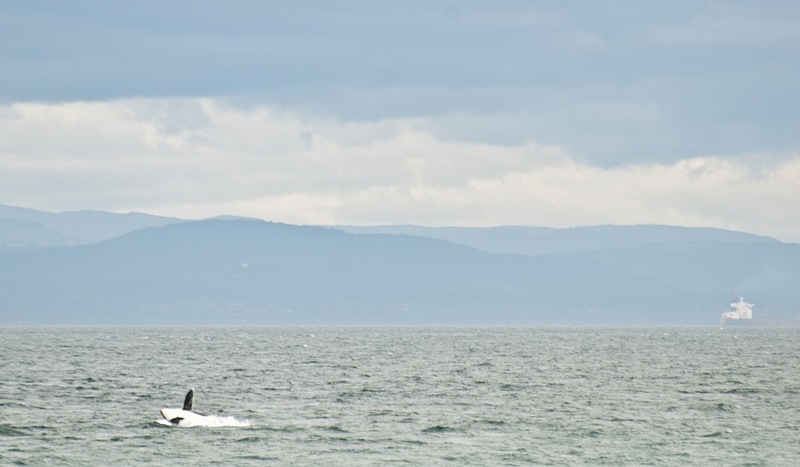 It was my first sighting of orcas in the wild, and it definitely got my heart racing! 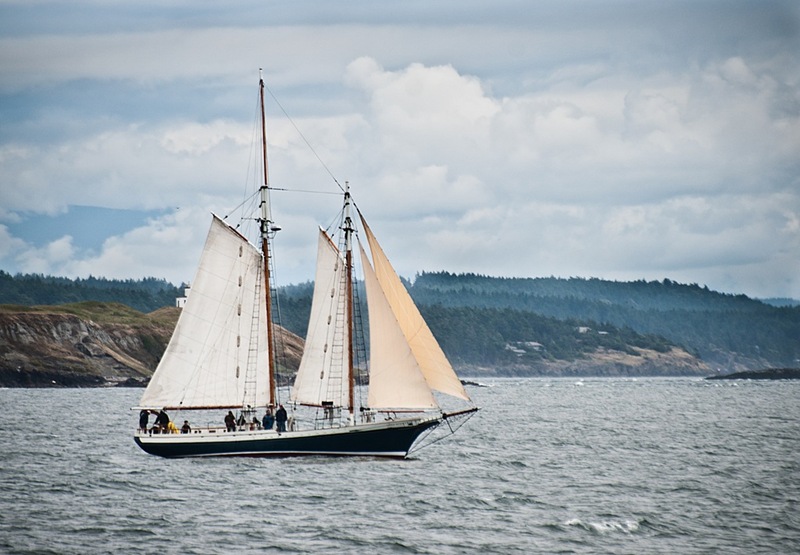 Bethany and I packed up our stuff, made lunch to take along, and headed into Anacortes. 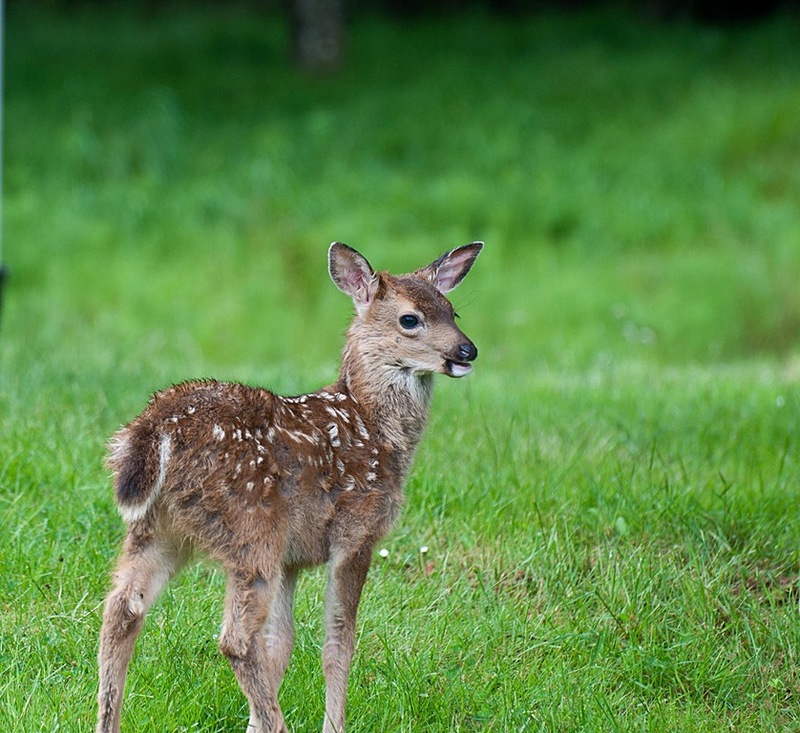 Along the way we saw this little cutie. 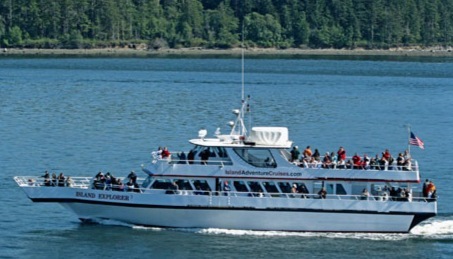 In Anacortes, we checked in to Island Adventures for our whale watching tour. I was so excited I could hardly contain it and I think I had a huge goofy grin on the my face the whole time. At the dock, before we boarded our ship, the captain introduced us to the crew, explained the “rules” and cracked jokes. The crew (all three of them) were amazing throughout the whole trip. They were very informative and their enthusiasm and genuine excitement were contagious. Our boat was really nice as well. Bethany and I spent all our time on the upper deck. Towards the stern (rear) of the boat on that upper level, the seats were plush and would soak up the sun, so they were heated! When we were with the whales, Bethany and I headed up to the bow (front) of the upper deck for the great view. 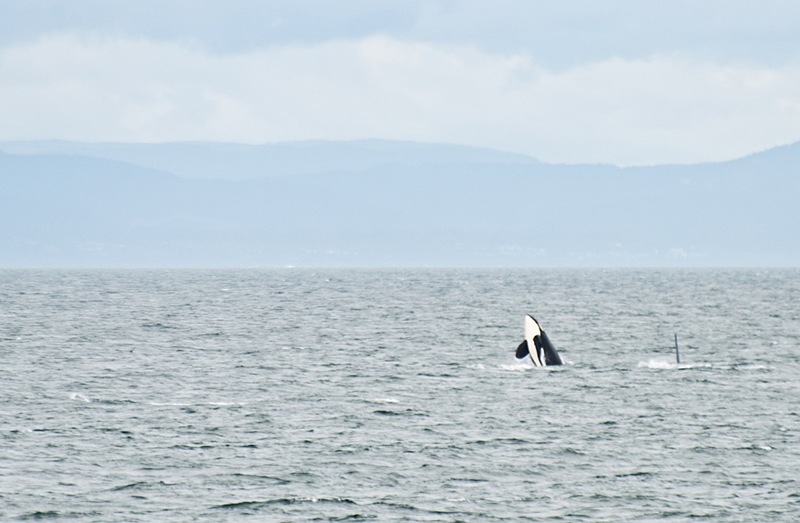 After we left the harbor, we headed southwest, the same direction the pod of orcas took that morning past our campground. I knew that we were headed in the right direction! 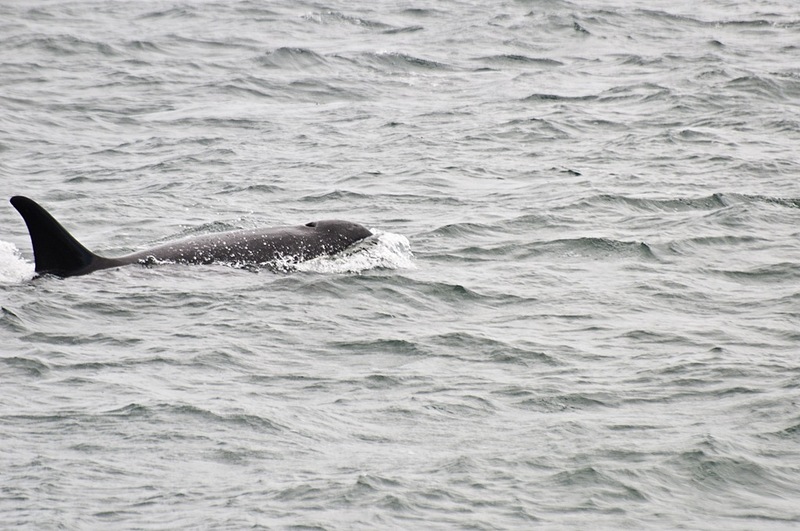 It only took about an hour after leaving the harbor before we spotted our first whales. 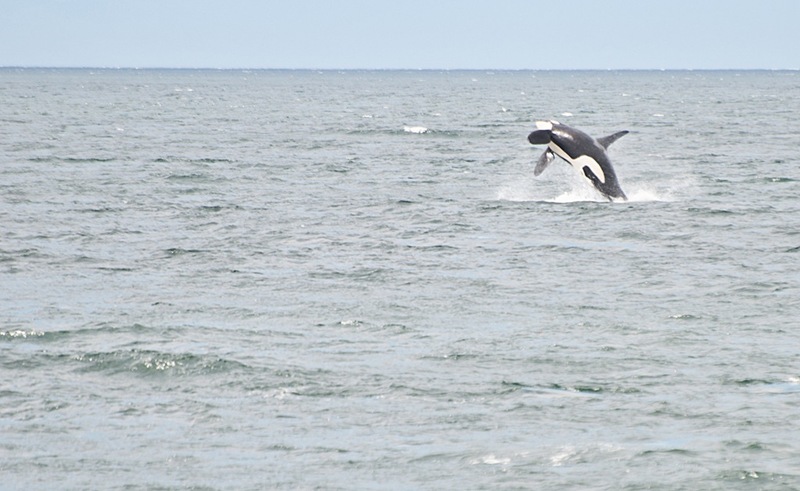 (You can read Island Adventures whale report, just scroll down to June 18th.) They were cruising along pretty fast and we knew the main part of the pod was still ahead of us, so we kept going and didn’t stop to play. It didn’t take us long to catch up and soon we were surrounded by whales for almost two hours! 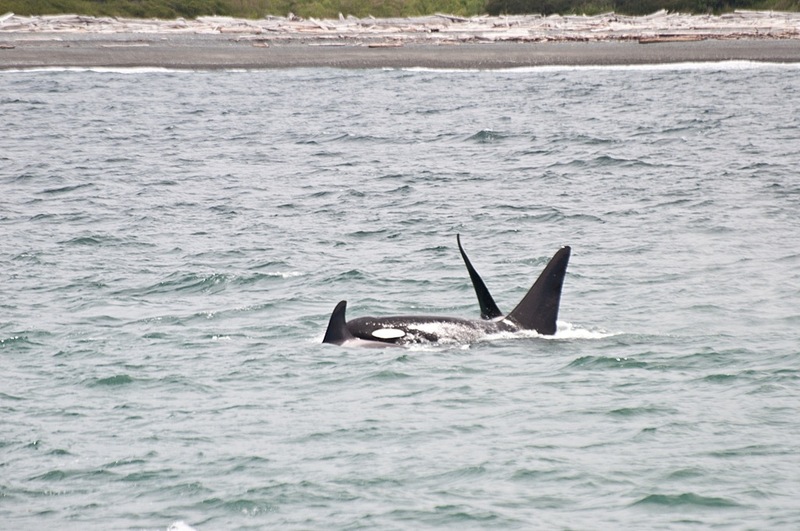 See the baby dorsal fin just above mama and possibly auntie? In the “resident” pods, females and males stay in the same pod that they are born into for their whole life. 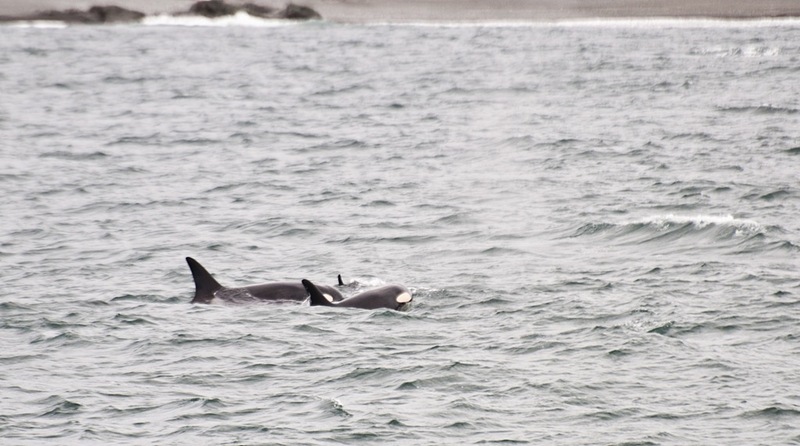 Males may leave for a time to mate with females from another pod, but they always come back to mama! Every time the captain would say “We need to be leaving in about 15 minutes.” the whales would surround the boat so we couldn’t move away! Everyone was SO disappointed…not! We were having the time of our life, and even the crew would stop and pull out their cameras with massive lenses to take pictures. The captain was very good about trying to position the boat in the swells to keep the boat as still as possible. But the wind picked up, and the swells got a little rough, so it was quite the challenge to take pictures of whales and not of the empty sea or sky. All in all, I think I managed to get quite a few good ones! These next photos I managed to get REALLY lucky. 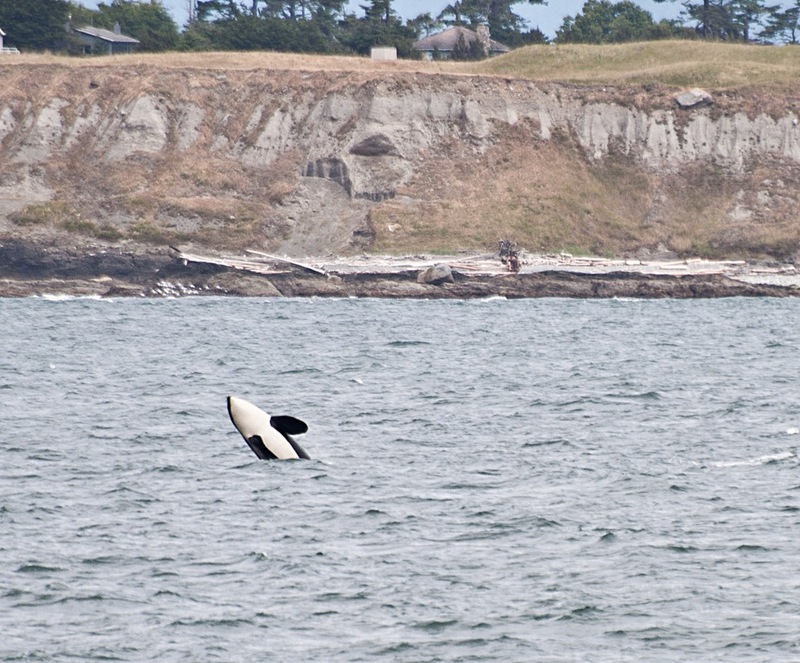 I had the camera focused on the right spot at the right time and the whale breached right in frame. Score! 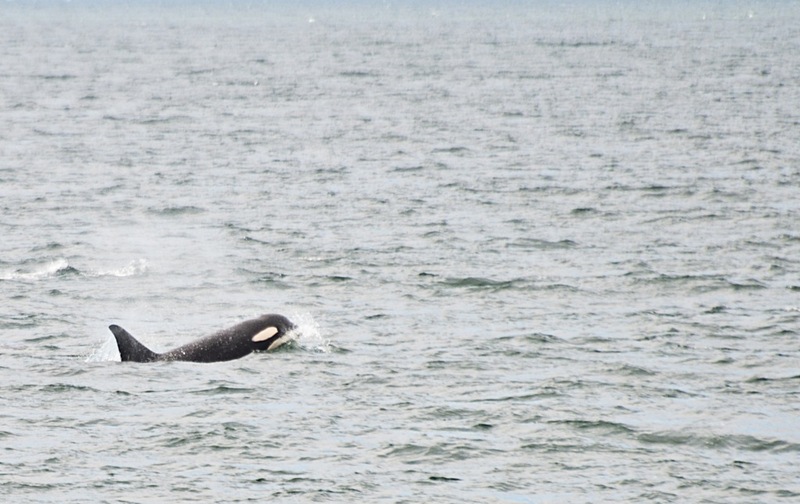 We couldn’t spend forever with the whales, much as we would’ve liked to, and headed back to Anacortes. On the way back, we took a different route back through the islands and we were able to see some harbor seals and bald eagles. The final post of my vacation is coming soon. Great pictures, When we were there we didn’t see any whales. I guess we were there at the wrong time. We were really lucky. 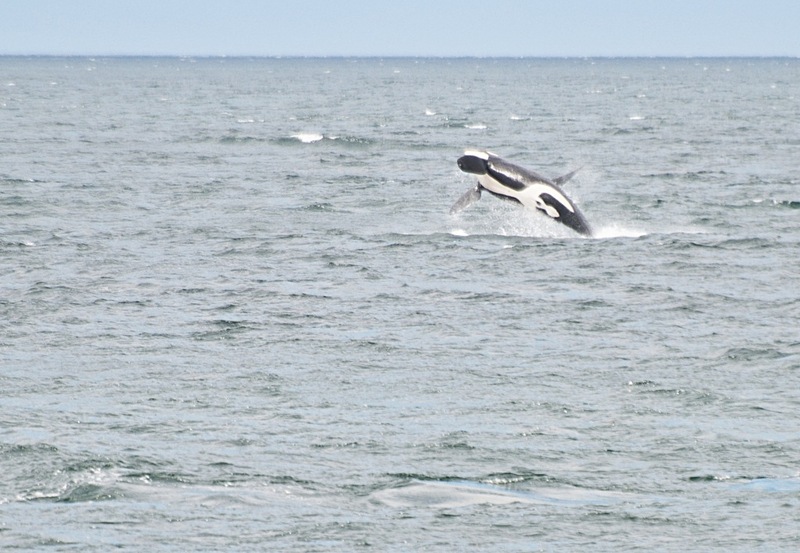 The crew kept on saying that this is the most activity and breaches they had seen all season! Your photos are really awesome! Thank you! It was a great trip and I sure got lucky on a bunch of them.